The same order is followed in each part; the related information is supplied where required as the pupil progresses. (IV) Duplicate Turning, where identical pieces are turned. (V) Spiral Turning, showing the method of turning a spiral on the lathe. 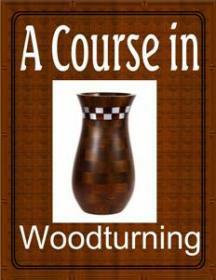 The ultimate aim of this book is to give, through the exercises and problems, a thorough understanding of the principles of wood turning by gradually developing the confidence of the pupil in the complete control of his tools, at the same time suggesting harmonious lines in design which will lead to other ideas in designing problems. This 48 page PDF ebook comes with Master Resell Rights.